is a conversation about the contemporary body, folk practice and the palace. On this website you will find the contents of a conversation that Lee Su-Feh, artistic director of battery opera, initiated. What is folk dance? Is it what folk do? Who are today’s folk? And in an age where there is no royal patron for dance, what is the equivalent of the palace? Is it the marketplace? Our governments? The funding bodies? How do different contexts change how we use our bodies in performance? 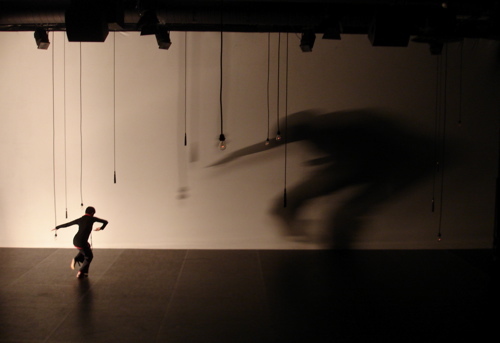 In May 2008, Su-Feh brought together four other dance artists, Hari Krishnan, Anis Nor, Zab Maboungou and Jennifer Mascall to grapple with these questions at the Scotiabank Dance Centre in Vancouver. Over three days these artists shared stories, questioned and provoked each other in a conversation that dealt with the nuances and complexities of a human body in constant engagement with history, politics and human relationships. This website provides access to these conversations and more. For essays by Michelle Olson and Hari Krishnan in response to the conversation, please go to post-scriptum.